At this point you may well be expecting me to transport you back to the early 2000’s, which may have marked my time living in London or the start of my time back in my hometown of Bedford. I’d probably be engaged, having just proposed in the tomb of Tutankhamun in Egypt’s Valley of the Kings. But actually, don’t expect that. Not happening this time, although by coincidence I was listening to The Smashing Pumpkin’s Machina / The Machines of God when I bought Pokemon Gold, as I might have been doing had I owned a Game Boy Colour and had the slightest interest in Pokemon the best part of two decades ago! So as far as this post is concerned, Pokemon Gold was released for the Nintendo 3DS in September 2017, just a few weeks prior to the time of writing this. Which is a real benefit as I can remember exactly what was going on when I was playing it for a change! The New Nintendo 2DS is my first Nintendo handheld since the Game Boy Advance SP. I’d had my eye on it since its announcement – nice price point, no crappy 3D gimmick, and it was properly portable, unlike its non-New predecessor. And what a games library! But since the aforementioned weirdo engagement is now a wife and family and a very old house in the country, by necessity I bided my time until I happened to check a bank rewards account balance for the first time in two years and realised my household direct debits had netted me £250 in available cash, so I decided the time was right! How about Pokemon? As I said, zero interest ever, but with the e-shop also comes demos, and I downloaded all sorts that I knew I might be into – Mario Golf World Tour, Castlevania Mirror of Fate, Resident Evil Revelations, Monster Hunter Stories, Super Smash Bros, Dead or Alive Dimensions… But also stuff I’d obviously heard of but never had any interest in, like various Fire Emblems, Tomodachi Life, Poochy and Yoshi’s Wooly World, Hey! Pikmin, etc. And the first one I actually tried, Pokemon Sun and Moon Special Demo Version. (I did also buy Mario Tennis Open, a given based on my history with Game Boy Tennis, and Legend of Zelda: Ocarina of Time; like Pokemon, I’ve never played a Zelda game). Pokemon Sun and Moon Special Demo Version introduces you to a couple of characters, some city exploration and a trial involving photographing Pokemon in a dungeon, after which you’re free to explore a limited area. And that’s all it took to open my eyes! Very shortly after that, when the Game Boy Colour Pokemon Gold and Silver appeared on the Nintendo e-shop at just £8.99, I had no hesitation jumping in whilst laying on my hotel room bed in Munich where I was with work, and within minutes realised that the early night I’d planned was going to be a long one! The premise is massively simple – become the best Pokemon trainer in the top-down, classic JRPG world. This simplicity reflects in the gameplay as you wander from initial task to task, then city to city, capturing, training, fighting, puzzling, levelling up and evolving your growing collection of Pokemon, and managing your growing inventory of stuff and skills. But from the outset, you quickly start to realise the enormous depth to the game, and the enormous strategy to be employed in making progress. As you travel the world, progress is charted through defeating the Gym boss in each city. 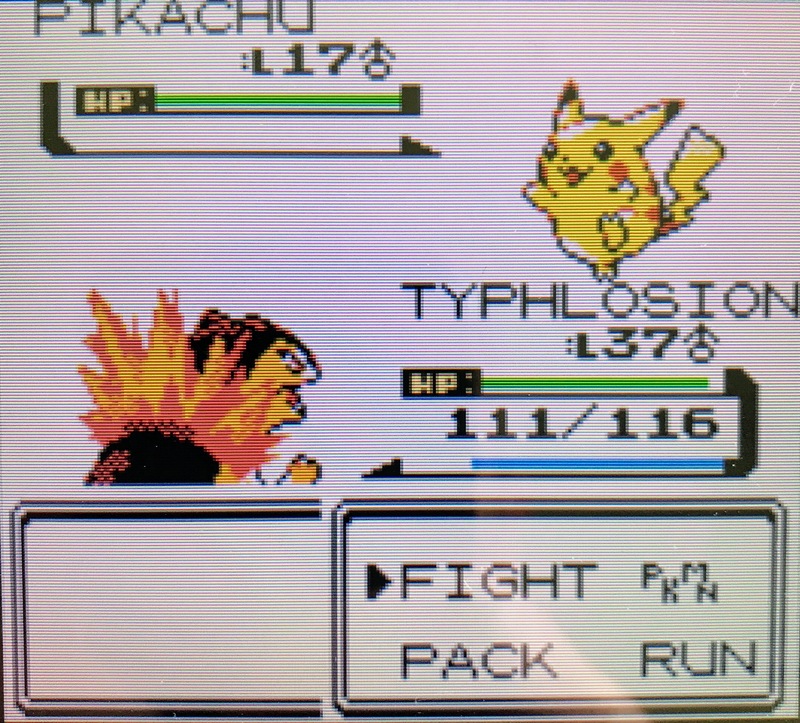 With all the distractions on the way between cities, from Pokemon hiding in long grass or characters you meet on the way and challenges they put your way, to exploration of caves and dungeons, by the time you reach the next city your Pokemon collection should be in fairly good shape to take on these bosses, though after three or four it starts getting tougher. Beat the boss and you’re rewarded with badges that allow you to use Pokemon skills you’ve acquired on the way as and when you please, like cutting down trees that previously blocked your path or surfing on water Pokemon across lakes and seas to make further progress! Every Pokemon has its own unique set of strengths and offensive, defensive and special skills that come into play, and there’s over 250 of them running wild waiting for you to find and catch them. Some of these are much rarer than others – they might only come out at night (with day and night in real-time) or in a certain cave on a certain day, or you might only be able to encounter them if you’ve come across the right fishing rod and you’re using it in the right lake. As said before, enormous depth and so much to do outside of Gym battles to become the greatest. In fact, after dozens of hours of play I’ve got an enormous list of things and places to come back to as and when I’m equipped to do so – there’s literally no end in sight, which is fantastic as this has become my go-to game whenever my fingers have nothing more grown-up on the go! Strangely in retrospect, until just now I’ve never really considered how the game looks and sounds – it’s a Game Boy Colour game, so clearly it has a certain look, but even 20 years on it’s perfect for now. Everything is dynamic and colourful, every character is full of personality, and the battles play out with effective animations when you pull off a move. One really nice touch as you progress is your radio, which you can dial in to your own favourite stations when you get to the radio tower in one of the bigger cities if you win a quiz there, although admittedly the sound hasn’t aged as well as the graphics. But there’s so many other nice touches which I can quite believe you’ll never see, which is what really makes this game a staggering achievement. 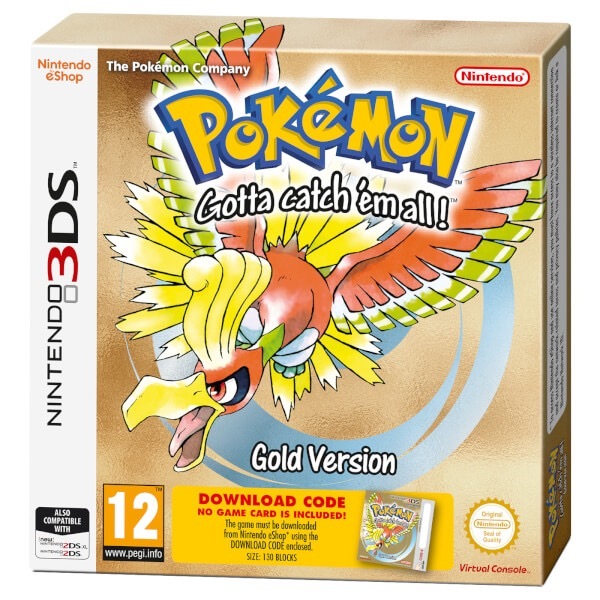 I don’t often pre-order games, but at the time of writing Pokemon Ultra Sun and Moon is only a couple of weeks away and my experience with Pokemon Gold has me completely sold – I need this day one!